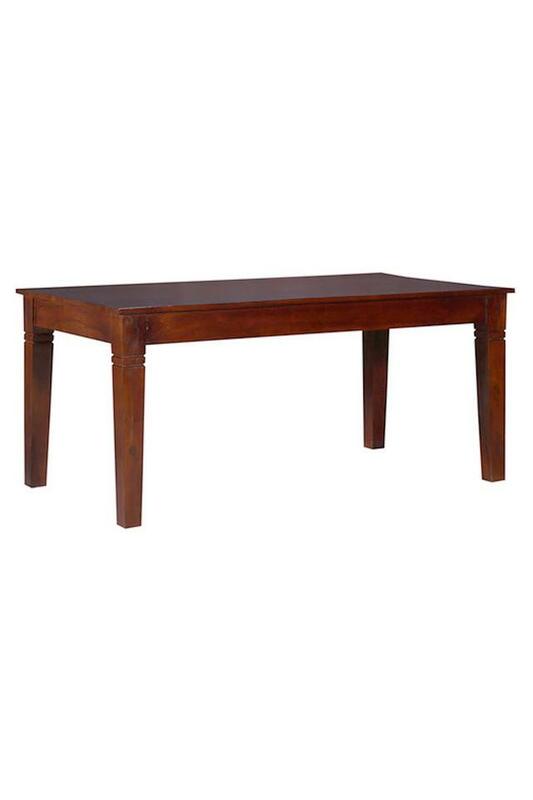 Now serve your family and friends in style on this stunning dining set. This six seater dining set is crafted from sheesham wood and has a strong and durable construction. 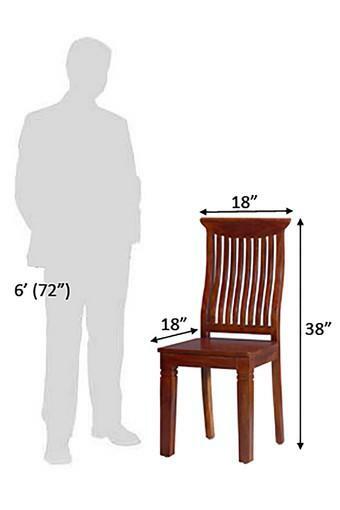 Chair - L 18 x W 18 x H 38 inches. 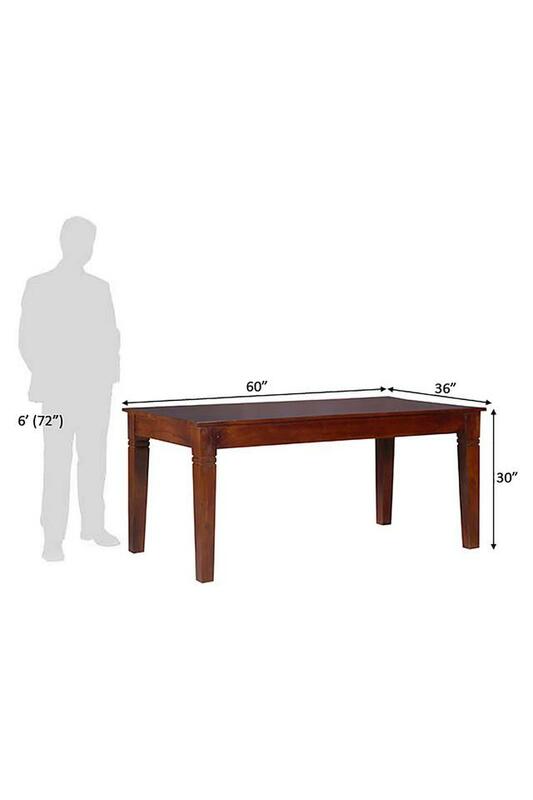 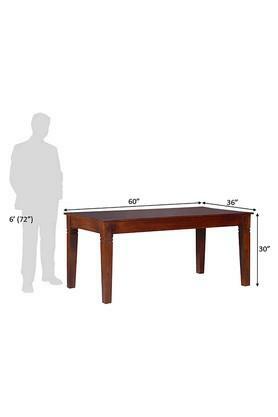 Table - L 60 x W 36 x H 30 inches. 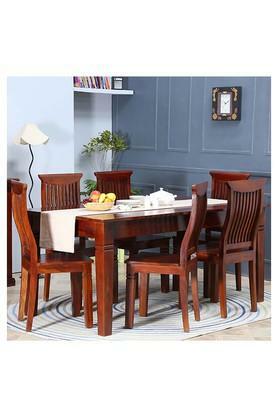 Made of high grade Sheesham wood a sturdy compact dining table and six high back solid wood chairs. 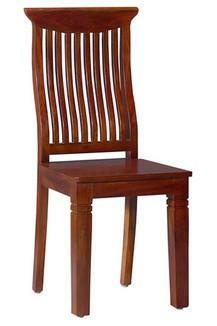 Finished in honey teak polish shade.